Ryan has consistently proven himself as a hard working and driven professional specializing in residential real estate. Within his first year in real estate, he was managing a privately funded bank and managing customer interactions, which soon opened the door to obtaining his license as a real estate professional. The path he took in 2010 was led by his determination to help people and become a trusted advisor in the real estate industry. 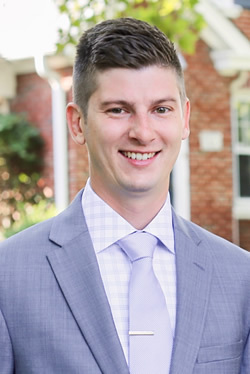 Ryan’s strengths include innovative marketing, a strong grasp of home loans and financing, and developing successful investment strategies for flipping homes. Some of Ryan’s recognitions include: 2013, 2014 & 2015 Howard Hanna Champions Club, 2014 & 2015 Multi-Million Dollar Producer and 2013 & 2014 Top Unit Sales Leader. Outside the office, Ryan enjoys spending time with his wife, Katharine, and 2 sons, Hayden and Mason.